Terry Millender and his wife, Brenda, were arrested Oct. 22, 2016, in an alleged congregation fraud scheme. A Virginia pastor, his wife and a friend of theirs are all being accused of defrauding their Alexandria congregation out of more than $1 million, Fox 5 DC reports. 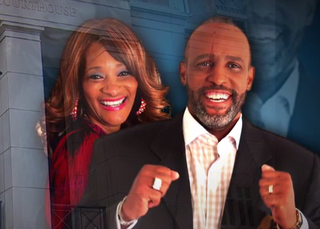 Authorities say the charges stem from an investment scam in which the Millenders and Wells convinced congregations to invest in their company, Micro-Enterprise Management Group, which allegedly helped poor people in developing countries through the provision of small, short-term loans to start or build up existing businesses by working with a network of established microfinance groups, Fox5DC reports. The trio allegedly underlined their business’s Christian mission and promised guaranteed rates of return. Some investors gave sums ranging from $40,000 to $400,000, authorities say. However, instead of using the money for its intended mission, the Millenders and Wells allegedly conducted risky trading on the foreign-exchange currency market and also helped fund the purchase of a lavish $1.75 million residence for the Millenders and other personal expenses for the defendants. When parishioners began to question when they would get their money back, the defendants blamed delays on the 2008 financial crisis, authorities say. “It didn’t really come as a shock—it was more of a sigh of relief,” Eric Brown, a former church member, told Fox 5 DC. According to the news station, Brown’s family was one of those who invested in the alleged fraud scheme, although they are not a part of the federal case. Both Terry Millender and Grenetta Wells were held without bond until another hearing set for Wednesday. Brenda Millender was released after the initial hearing. Read more at Fox 5 DC.